AVON, Ohio – Step right up to witness the greatest “big top” celebration the world has ever seen. 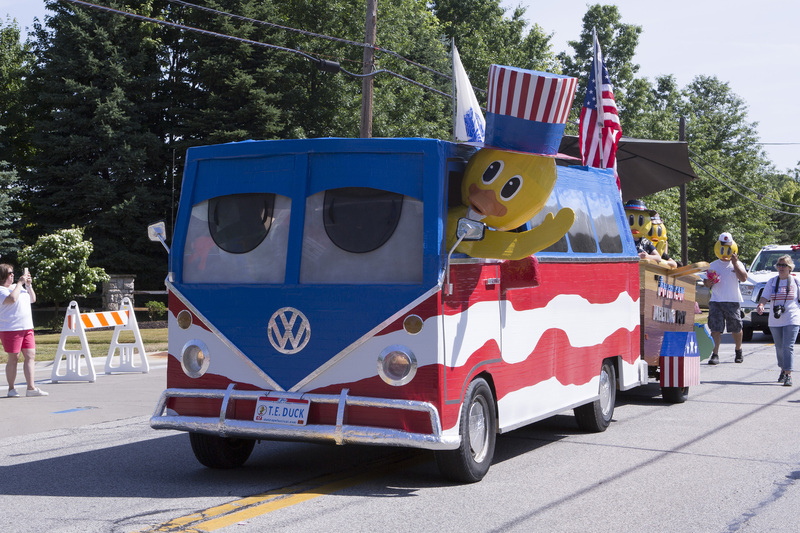 The 14th Annual Avon Heritage Duck Tape® Festival sets up Father’s Day weekend – Friday, June 16 through Sunday, June 18, 2017 – with a theme to entertain men, women and children of all ages. 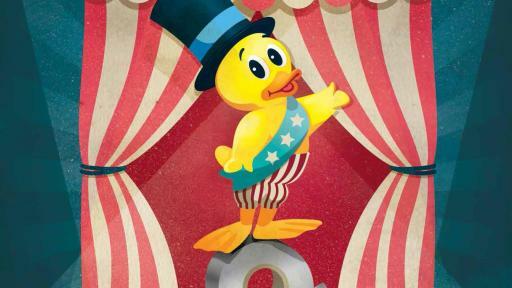 That’s right, folks, the Duck Tape® “circus” is coming to town! Available in hundreds of colors, designs and licenses, America’s favorite fix-all is ready for the spotlight. Head out to Veterans Memorial Park in Avon, Ohio to be amazed, amused and astonished by a most-incredible Duck Tape® “Circus Spectacular”: from a circus-themed parade featuring floats made with Duck Tape®, larger-than-life Duck Tape® sculptures to lots of fun under the arts and crafts tent and a community fashion show. Families can also enjoy delicious fair food favorites (cotton candy, anyone? 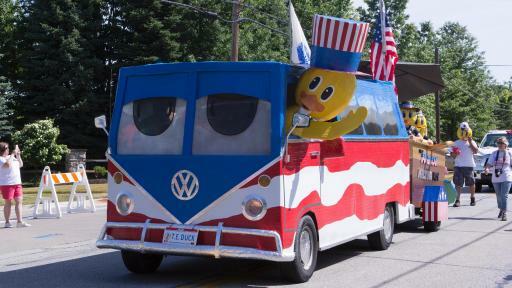 ), rides and attractions, including family-friendly games, live entertainment and more. 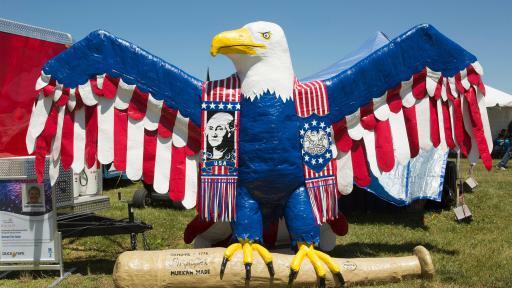 Plus, the first 500 spectators each day will receive a free roll of Duck Tape®. Don’t miss the chance to participate in this year’s thrilling sideshow attractions! 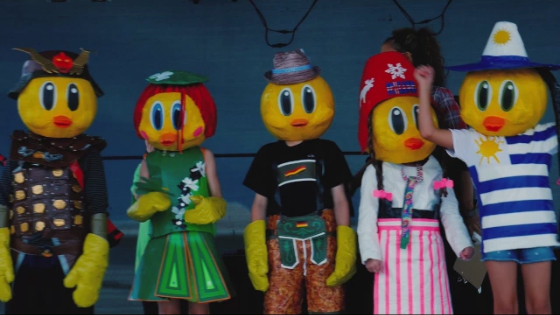 The 2017 Duck Tape® Festival Fashion Extravaganza, where Duck Tape® makers can show off their one-of-a-kind Duck Tape® outfits on the Main Stage for a chance to win this year’s Grand Prize, a robust Cedar Point Amusement Park prize pack for four! To enter, each participant is required to wear at least one main article of clothing and one accessory made out of Duck Tape®. 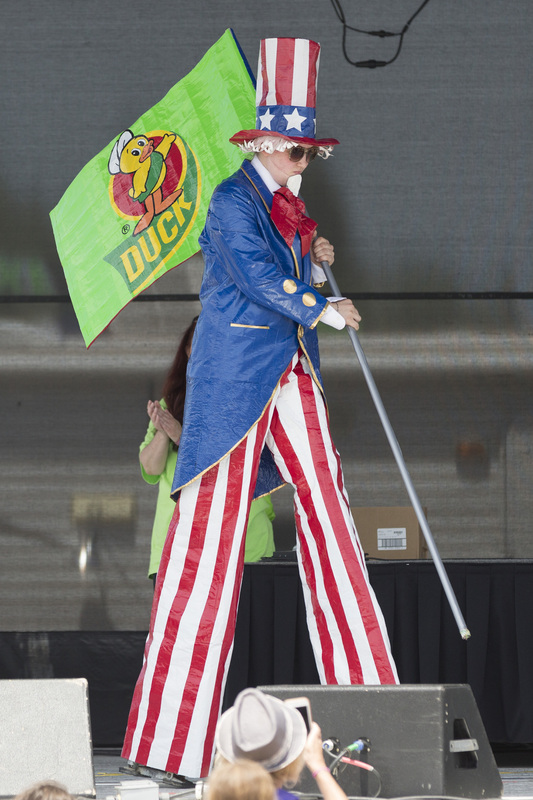 Every participant also will receive a $5 voucher that can be redeemed at the Duck Tape® Big Top Gift Shop and Sales Tent (located on festival grounds) toward their favorite Duck Tape® swag. And, new this year, Duck Tape® Festival goers will be able to participate in a unique, interactive Duck Tape® art project creation station with recent University of Cincinnati fine arts graduate, Jake Brinkmann. 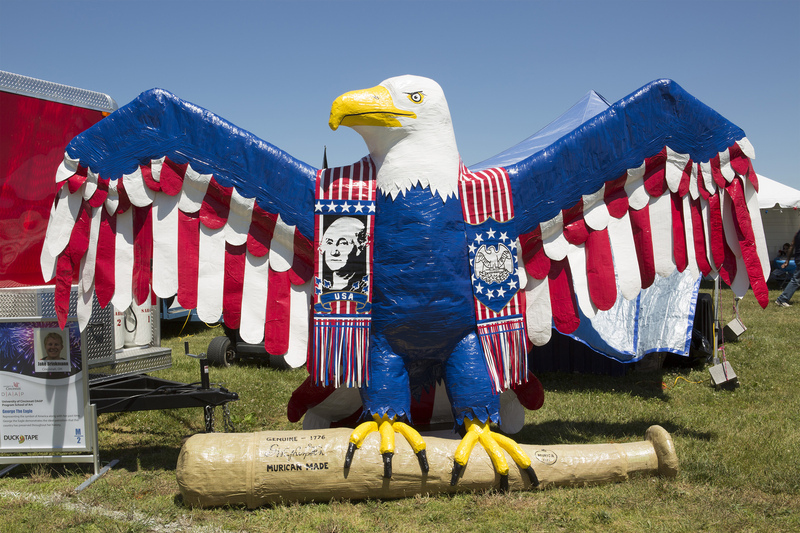 Jake is no stranger to Duck Tape®, as he designed and constructed the 15-foot-tall Duck Tape® eagle sculpture for the 2016 Americana-themed Duck Tape® Festival. 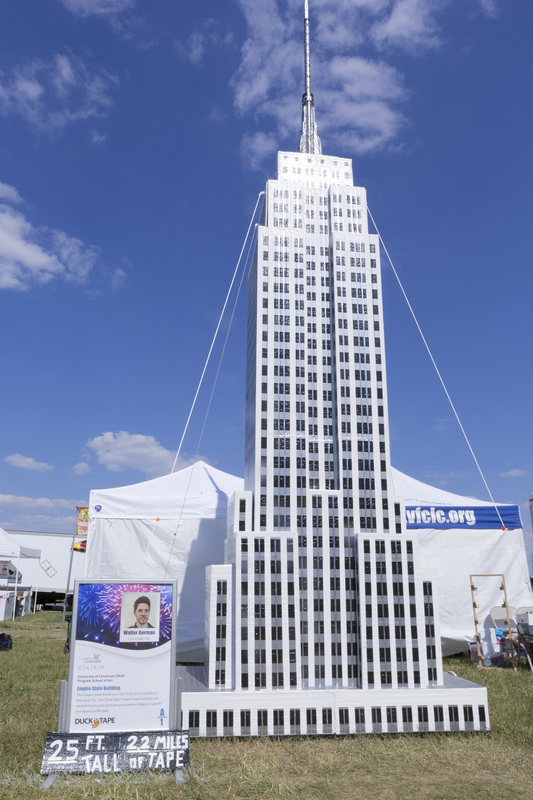 Come on down to the “Magnificent Maker” Creation Station tent to see him work his magic and help create a larger-than-life piece of Duck Tape® art. 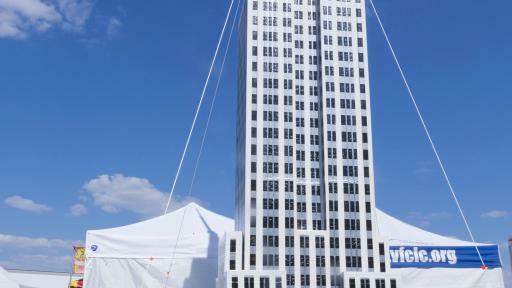 Admission is free for this three-day event, which annually draws more than 60,000 duct tape enthusiasts from around the world. Friday, June 16: 4 p.m. to 11 p.m.
Saturday, June 17: 11 a.m. to 11 p.m.
Sunday, June 18: 11 a.m. to 5 p.m.
Don’t forget to share the Festival fun on social! Use our new Snapchat geofilter, and tag us on Facebook® (facebook.com/ducktape), Twitter® and Instagram (both @theduckbrand) using #DuckTapeFestival. 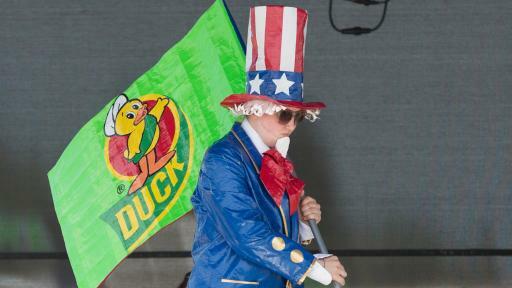 For more information about the Avon Heritage Duck Tape® Festival, visit DuckTapeFestival.com. An American original, Duck® brand is known for its quality and innovation, which now includes a vibrant assortment of hundreds of colors, designs and licenses. Duck Tape® brand duct tape is available nationally at mass merchandise, craft, hardware, home center, food, drug, office, auto and specialty retailers in colors such as gold, electric blue, fluorescent pink, green and terracotta, and designs such as Galaxy, Love Tie Dye and Metallic Gold Stars. Duck Tape®, marketed by ShurTech Brands, LLC, offers a vast array of innovative, forward-thinking solutions that help everyone – from DIYers to crafters – bring their ideas to life. The brand sets trends, inspires creativity and leads the way in crafting, DIY projects and more, giving you the tools you need to create anything you can dream. Visit duckbrand.com for additional product information. And, keep up-to-date on Duck Brand® news by joining our more than 5 million fans on Facebook® (facebook.com/ducktape), following us on Twitter® (@theduckbrand) and Instagram (@theduckbrand), following our boards on Pinterest® (pinterest.com/theduckbrand) and watching us on YouTube® (youtube.com/theduckbrand). ShurTech Brands, LLC, markets DIY (Do It Yourself), EIY (Express It Yourself) and Home & Office consumer products under the Duck®, FrogTape®, T-Rex® Tape, Painter’s Mate Green® and Shurtape® brands. The company is a subsidiary of Shurtape Technologies, LLC, Hickory, N.C., an industry-leading producer of pressure sensitive masking, duct, packaging and specialty tape products, with facilities in the United States, Canada, United Kingdom, Germany, Mexico, Peru, United Arab Emirates and China. Shurtape services numerous markets, including industrial, packaging, HVAC, professional paint, auto, marine, aerospace, arts and entertainment, and retail. Shurtape also manufactures and markets the Shurtape® and Kip® brands. Visit shurtech.com for more information. Instagram is a registered trademark of Instagram, LLC.